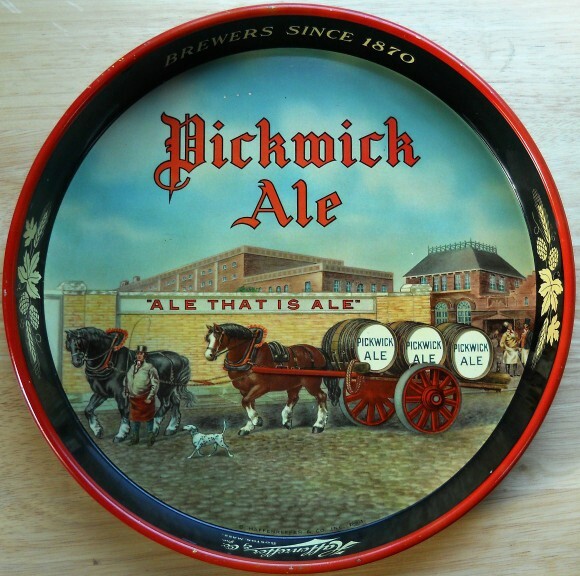 Serving Tray for Pickwick Ale from The Haffenreffer & Company, Inc. Brewers since 1870 showing in the center two large horses pulling a cart with three barrels of the company’s brew. The Brewery sits in the background.